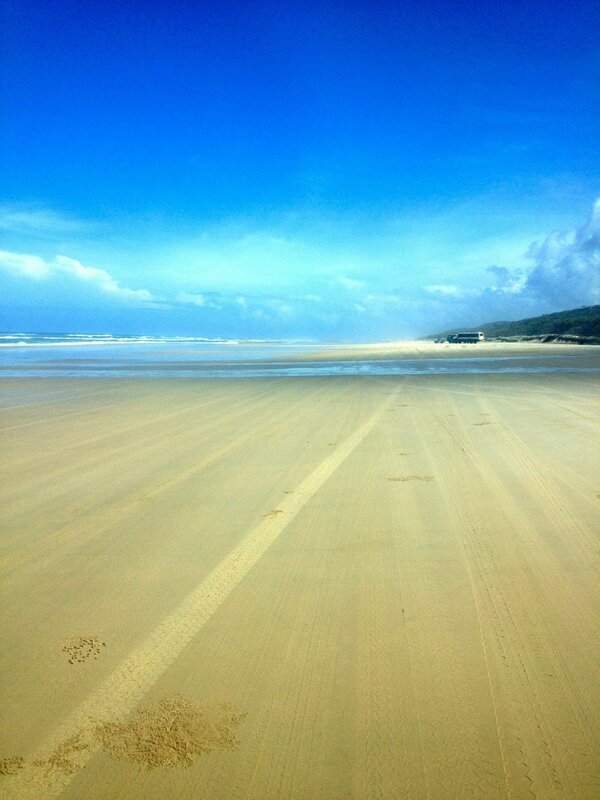 When I initially planned my travels up the East Coast of Australia, I didn’t put that much thought into Fraser Island. All I knew was that it’s the largest sand island in the world, and you can find dingoes on the island. 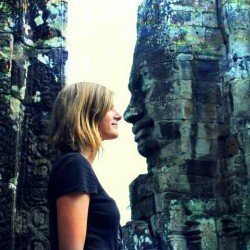 Those two facts alone sold me, but nothing would prepare me for the gem I would find, and how much I would love spending a day on one of the prettiest islands Australia has to offer. When I say it’s the largest sand island, I mean it’s literally made up of sand that has been accumulating for 750,000 years on a volcanic base that acts as a natural sand catcher. 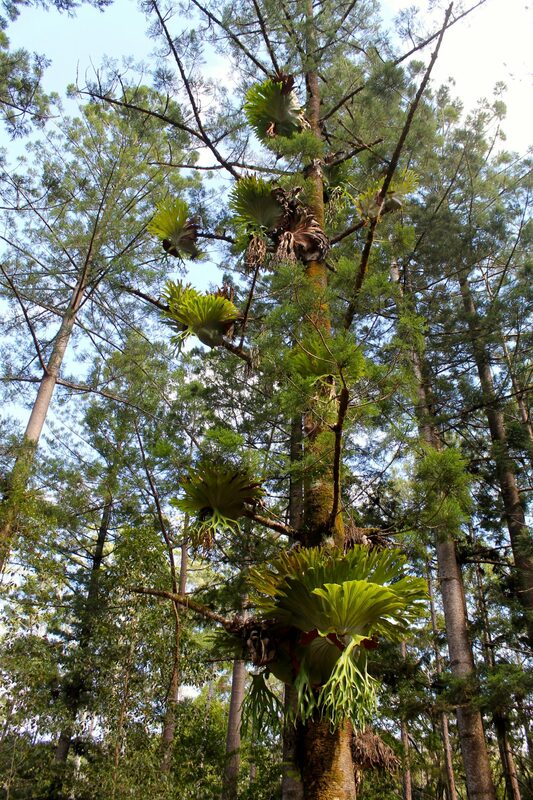 The unique thing about Fraser Island is that even though it’s made of sand, plants and fauna still grow on the island due to a certain type of special fungi in the sediment. I went with the Fraser Experience 1 day tour, which ended up working out quite well being that it landed on the one sunny day we had out of the whole week. It would’ve been great to stay overnight, but with how bad the weather was for most days, I’m glad I saved my money, and enjoyed the island at its finest during a break from the rain. 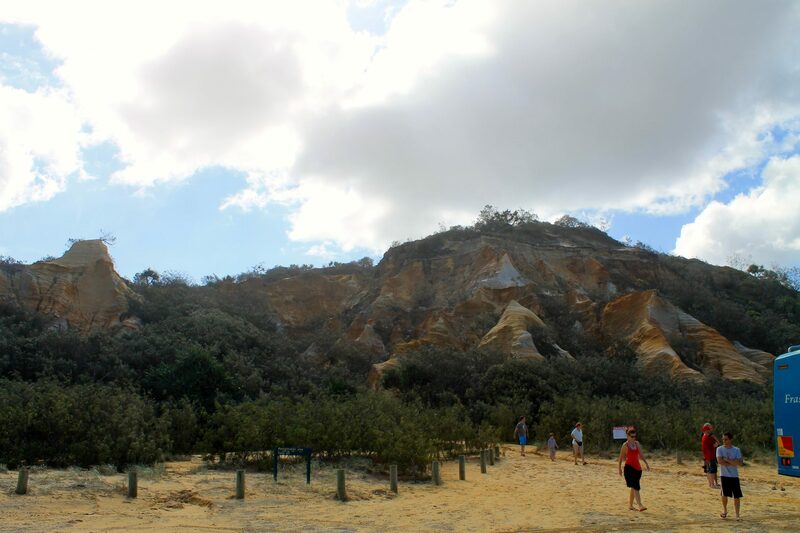 I left from the tiny town of Hervey Bay, although Rainbow beach has also become quite popular with backpackers who want to see the heritage-listed Fraser Island. The only way to see the island is by 4WD car/van/bus, either driving one yourself, or going on a guided tour like I did. The Fraser Experience tour I chose was relatively small, and the tour guide was very much a history buff and highly knowledgable, having gone to the island so many times in his life. He was also a humorous and lighthearted guide, and also slightly (read: very) deaf, so there were some pretty hilarious moments throughout the tour when words were lost in translation. I also met an incredibly friendly Danish couple, Sarah and Peter, who I hung around with for most of the day, learning a lot about Danish culture from them in the process and becoming quite envious of the well set-up education system in Denmark. 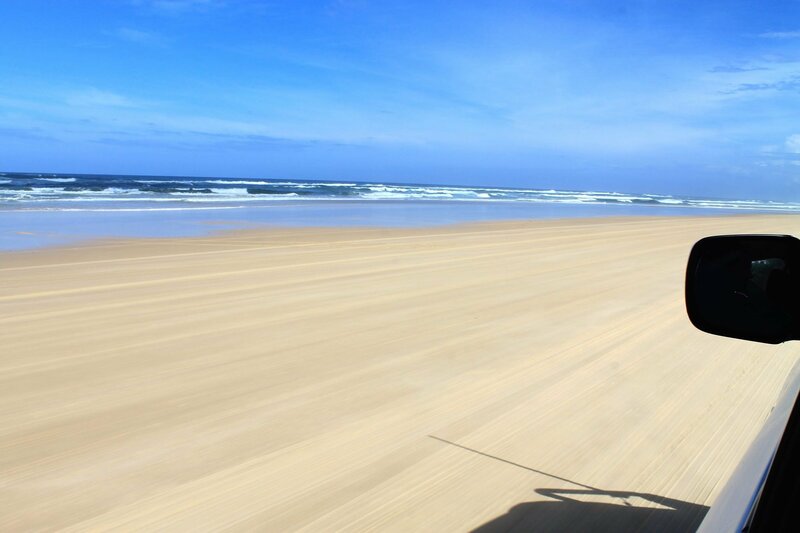 Even in the 4WD van, the ride around the island was so bumpy, because there are no paved roads, everything is made of sand, creating an awesome off-roading experience. 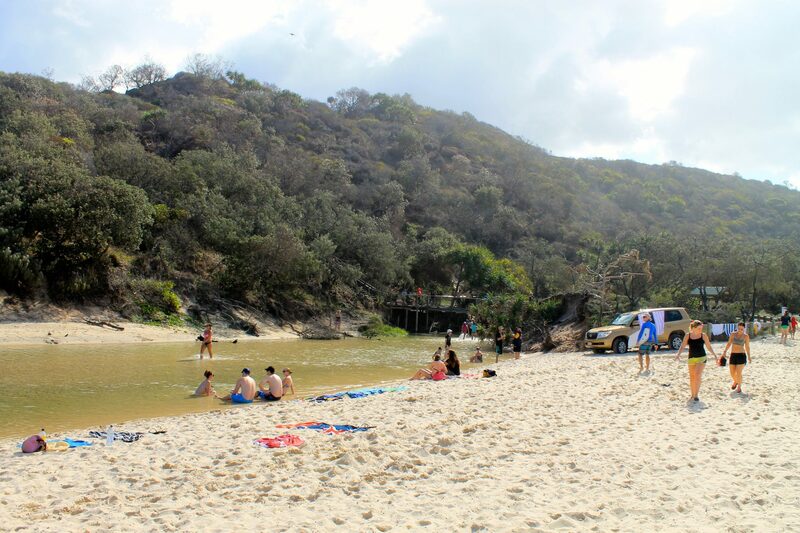 The tour cost AUS$185 and included such sites as the original and very old central station rainforest, the beautiful Lake McKenzie, the 75 mile beach, Eli Creek, the Coloured Sands, and the Maheno Shipwreck. 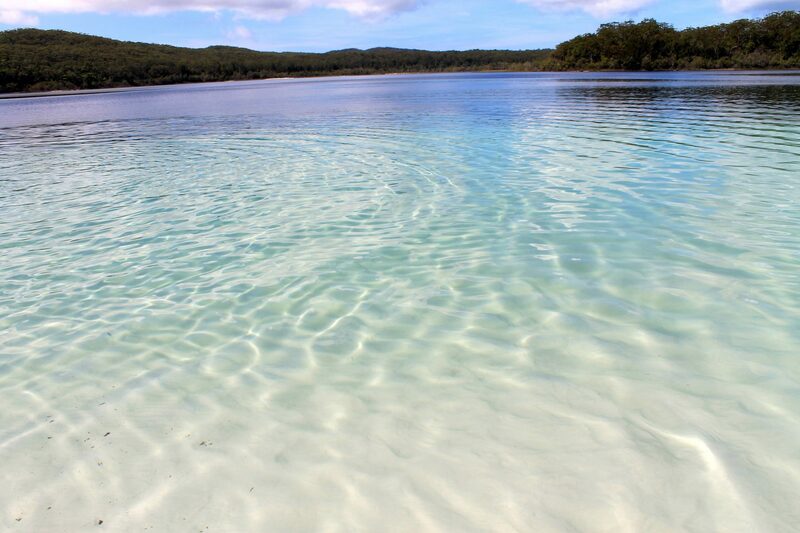 My favorites from those highlights were taking a dip in the breathtaking Lake McKenzie, driving for ages down the 75 mile beach (and seeing a dingo! ), and walking around the daunting Maheno Shipwreck and learning the story behind it. 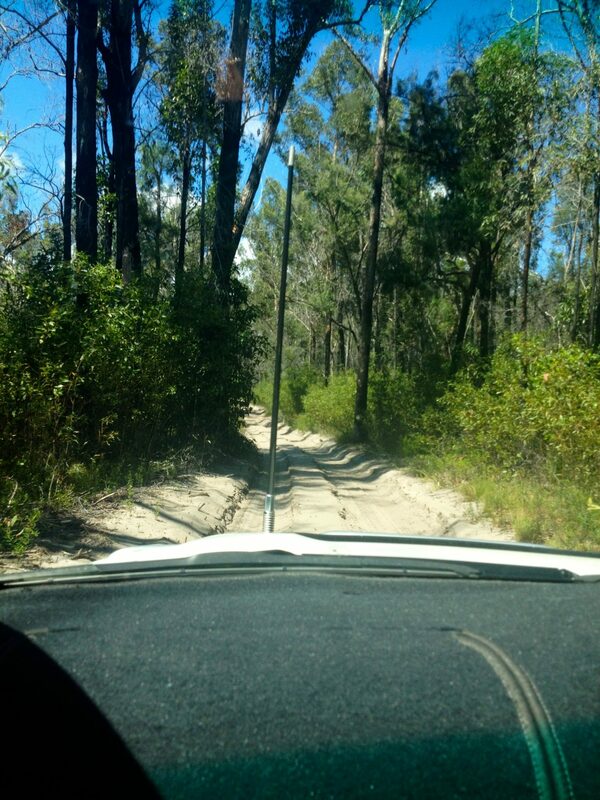 Here’s a little recap of my day on Fraser Island. 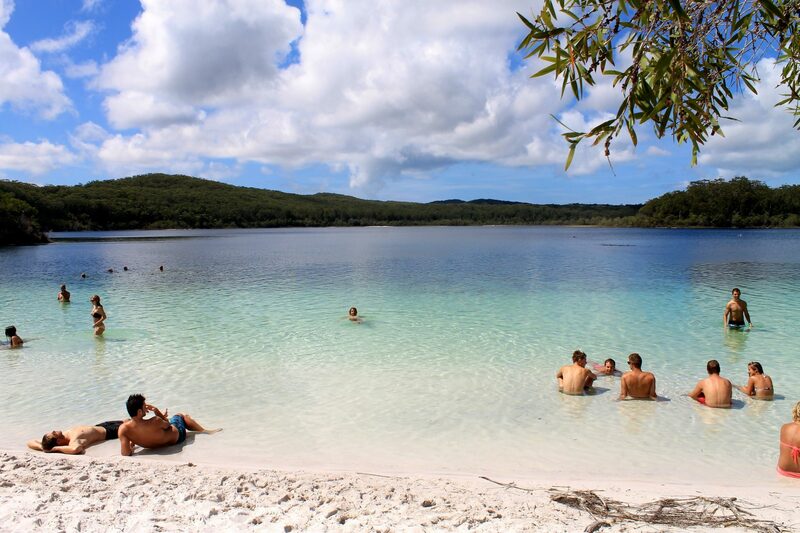 Central Station is the place to start out your Fraser Island adventures if you’re keen to learn about the history behind the island and the unique flora and fauna to be found around the area. The station used to be the epicenter of logging when the island was a huge part of the of forestry industry. 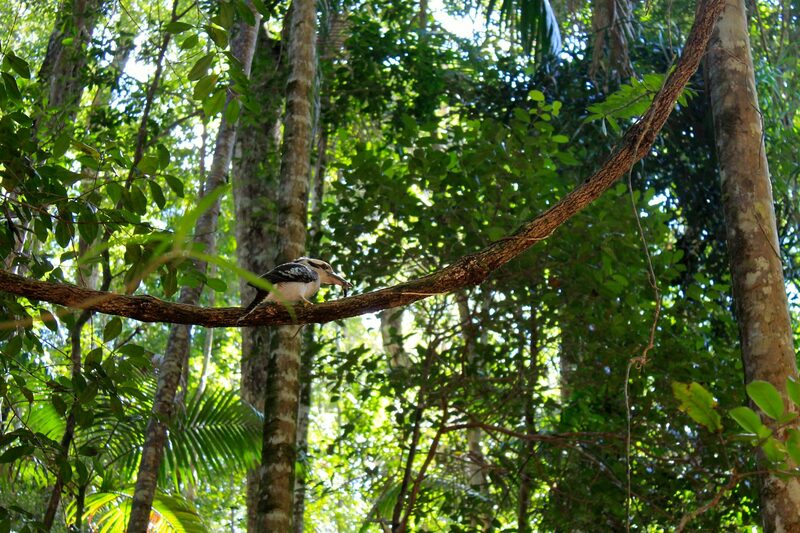 We took a short hike through the rainforest and along the creek, seeing kookaburras, eels, and countless other exotic plants and animals along the way. It was so peaceful, and a great way to start the long day ahead of us. 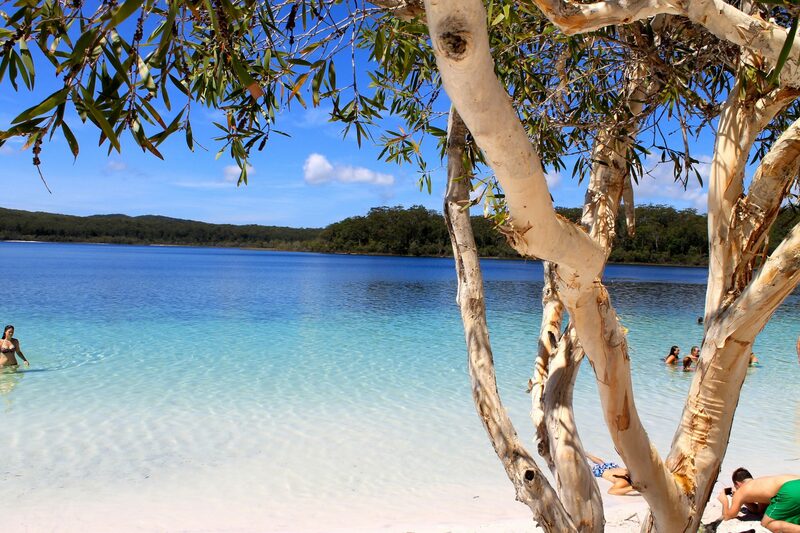 By far the best spot of the day, and the second stop on our Fraser Island tour. Lake McKenzie is one of those places where you unassumingly walk down a dirt path and suddenly you stop as you come around the corner, blown away with what you’ve found hidden away on the other side of the bush. Granted there were tons of other tourists there at the time, so maybe not exactly hidden, but regardless it was the prettiest Lake I’ve ever been to, even with all of the people. The water was the perfect see through aquamarine color, the temperature and weather was phenomenal that day, and hanging out with the new Danish friends I met, everything fell into place to make me pretty damn happy with how the day was turning out. 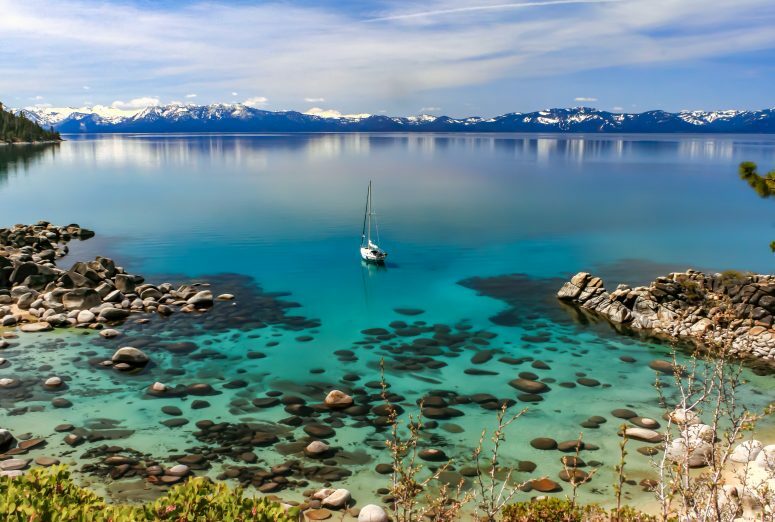 Peter brought a good quality snorkel with him, so we all took turns exploring the beautiful lake underwater, and reveling in how good the fine sand and water felt. The last call for heading back to the van came all too soon, and we reluctantly headed back to the car park to see what else the island had in store for us. Before we reached the 75 mile beach, we ate lunch at the top of a lookout that showcased the beautiful layout of the island and the rippling ocean in the distance. 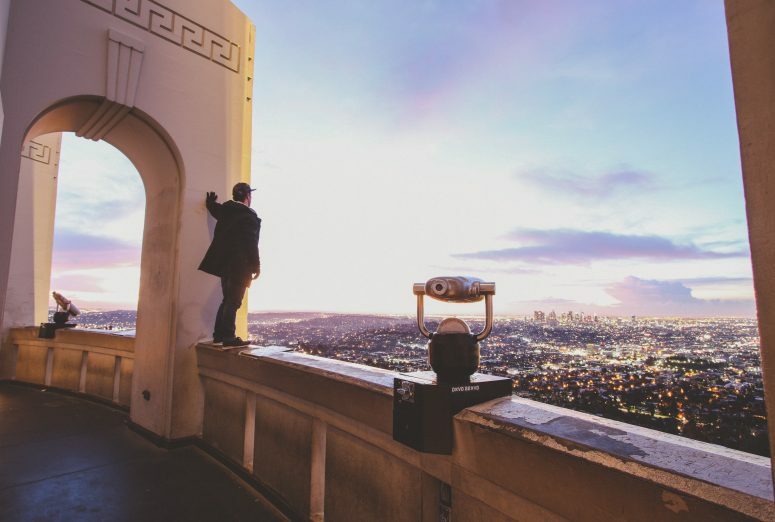 As you can probably guess from the name, this is an epically long beach. I’d never driven on a beach before, but it was heaps fun. Speeding up, rolling down the windows, the waves chasing after our tires, and the group all smushed together in the 4WD van having a ball. There are scenic flights that take off and land on the beach, so we saw a couple of those as well, and I saw my first wild dingo in Australia! I realized I was quickly checking off all the must-sees I had left as my time in Australia dwindled. Towards the end of the 75 mile beach is where you find the remnants of the Maheno Shipwreck. The Maheno Shipwreck is a haunting relic from the past, washed up and left on the beach for years. There have been some groups that have tried to get rid of the shipwreck on the beach as they say it’s an eyesore for local residents, and dangerous if someone was foolish enough to climb on it. The Maheno, built in 1904 in Scotland, means “island” in Maori, the native language of New Zealand. 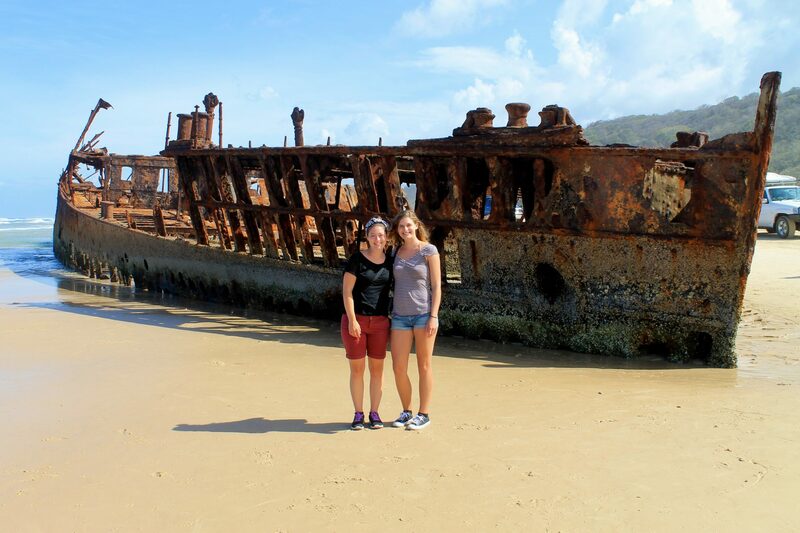 The Maheno had a long history before it was shipwrecked off Fraser Island. It was the world’s first ever turbine driven steamer, it made countless trans-atlantic crossings, and was even a hospital ship during WWI. The Maheno changed hands from its construction in Scotland for a New Zealand shipping company, to a Sydney shipping company, to finally a Japanese company at the end of its use. It was when the ship was going to sail to Japan in 1935, that it was hit by a freak cyclone, and shipwrecked off the coast of Fraser Island. The crazy thing about the shipwreck is that multiple levels of the ship are still buried beneath the sand, what you see on the surface is only the tip of the iceberg, if you will. 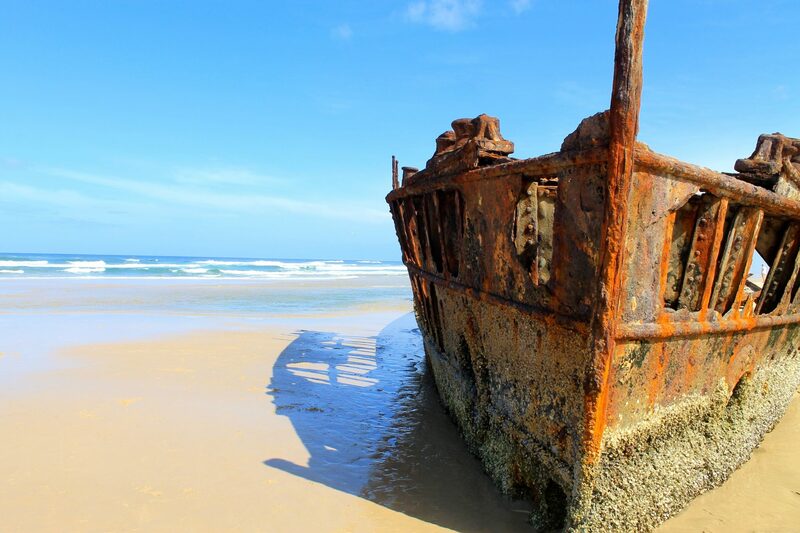 Because of the unpredictable nature of the weather along the coast of Fraser Island, there have been numerous shipwrecks throughout the years, and some people even go so far as to say the water around the island is cursed. The SS Maheno is by far the most famous of these shipwrecks. With glee, I thought about the ferry journey I still had to look forward to later that day. Also known as the pinnacles, the coloured sands are another one of Fraser Islands many natural wonders. 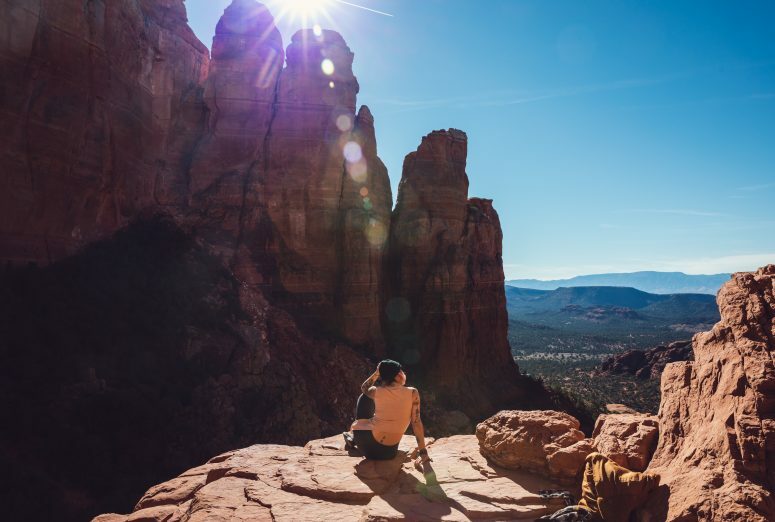 The coloured sands are multicoloured cliffs that have formed over the years into the shape of pinnacles. Apparently they’re best seen in the morning when the light perfectly hits the face of the cliffs, and produces a kaleidoscope of different colors. We arrived in the late afternoon, so the coloured sands were less than enthralling, but from pictures I’ve seen, I’d say it’s worth going to see them at the right time to get their full effect. 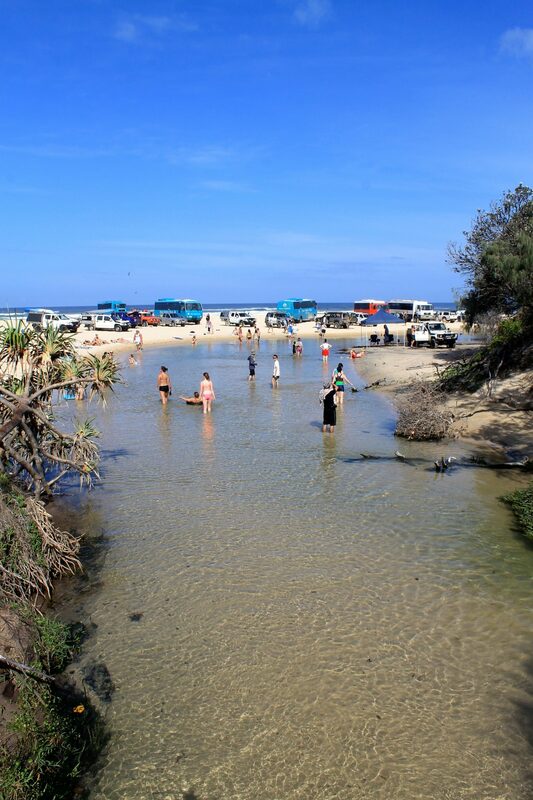 Eli Creek, the largest freshwater stream on Fraser Island, was the last stop of the day, and a great place to relax and take in all we had seen on the magical island. A popular activity at Eli Creek is to walk the length of the creek from one end to the other, ending at the swimming hole. 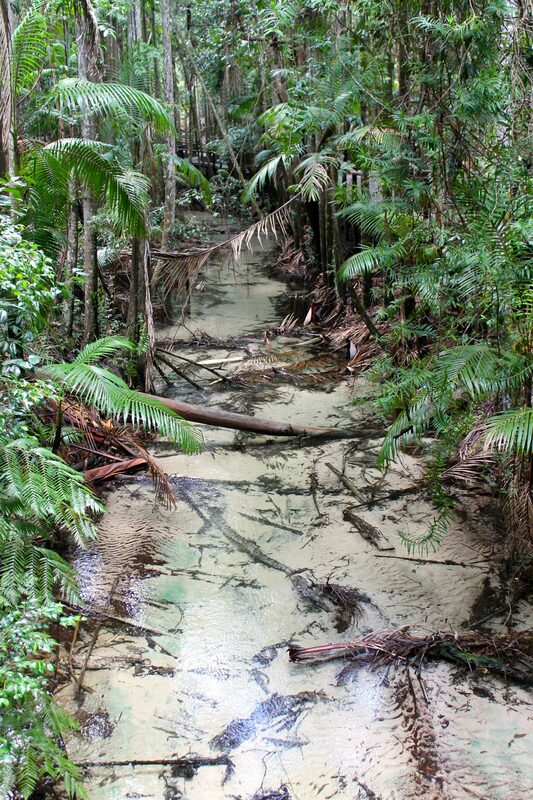 You start at the far end of the creek where there are slippery and mossy steps down to the cold water. The ground isn’t completely level on the creek bed, so sometimes you have to wade, walk or even swim at some parts, but it was a refreshing way to cool off from the hot Aussie day. 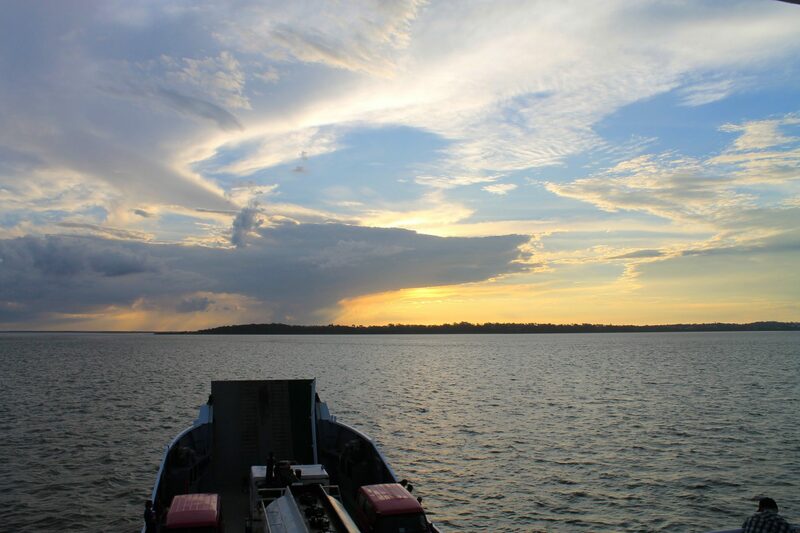 My Danish friends and I watched the sunset on the ferry ride back to Hervey Bay, and made plans to meet up for dinner later that night. It was another ridiculously good day on the East Coast of Australia, and I was quite content in that moment for all the unique and varied experiences I found on the island that day. 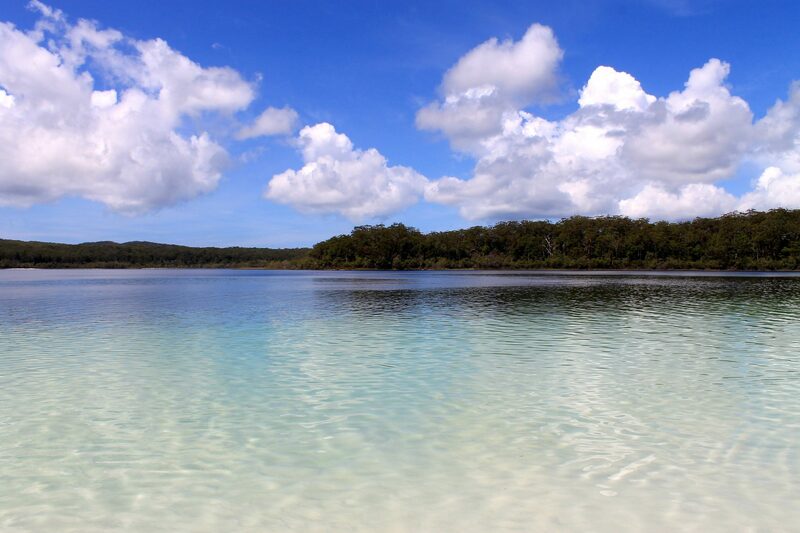 Have you ever been to Fraser Island? What’s your favorite island off the coast of Australia?